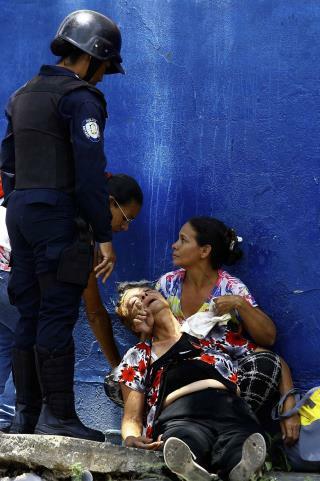 (Newser) – At least 68 people were killed when fire swept through the cells of a police station in Venezuela early Wednesday—and relatives demanding answers later in the day were given tear gas instead. Tarek William Saab, chief prosecutor in the city of Valencia, says 68 people—66 men and two female visitors—died in "dramatic events" at the police command and detention center, and four prosecutors have been appointed to investigate the incident, CNN reports. "We will deepen the investigations to immediately clarify these painful events that has dozens of Venezuelan families in mourning," Saab says. So the inmates caused the emergency that killed them and their relatives caused the riot that got them tear gassed. It's obvious they're related.